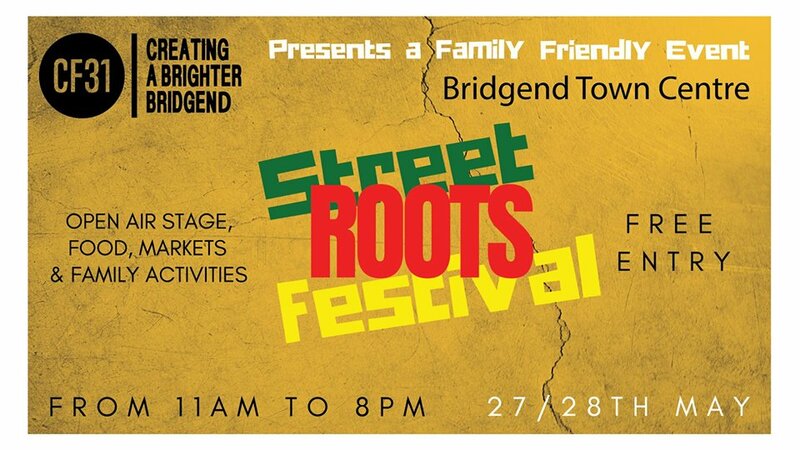 As part of our campaign to see a more vibrant Town Centre and to encourage families into Bridgend we are hosting a “Roots Street Festival”. We’re working with local partners to help promote Town Centre in a positive light, it’s down to you, the local people to get behind this FREE EVENT, so the businesses that CF31 represents and the wider community can enjoy the benefits of a more prosperous Town Centre. The Festival is a family friendly event with a focus on music and food from around the World, places like Jamaica, Africa, Europe and the Americas.